On May 31, 89 graduating seniors were inducted into the Mercy Alumnae Association at the Senior Celebration Dinner. 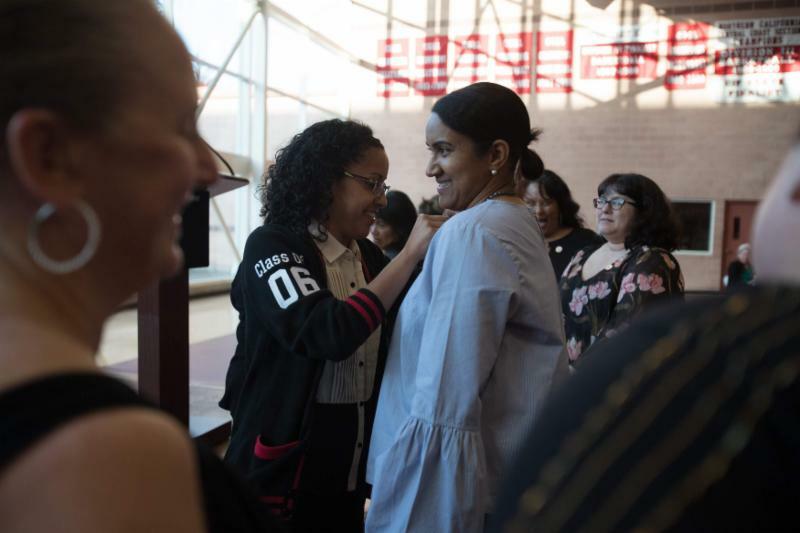 The induction ceremony began with alumnae faculty and staff pinning alumnae mothers who were present, and continued with alumnae mothers pinning their graduating daughters and the seniors pinning their fellow Mercy sisters. 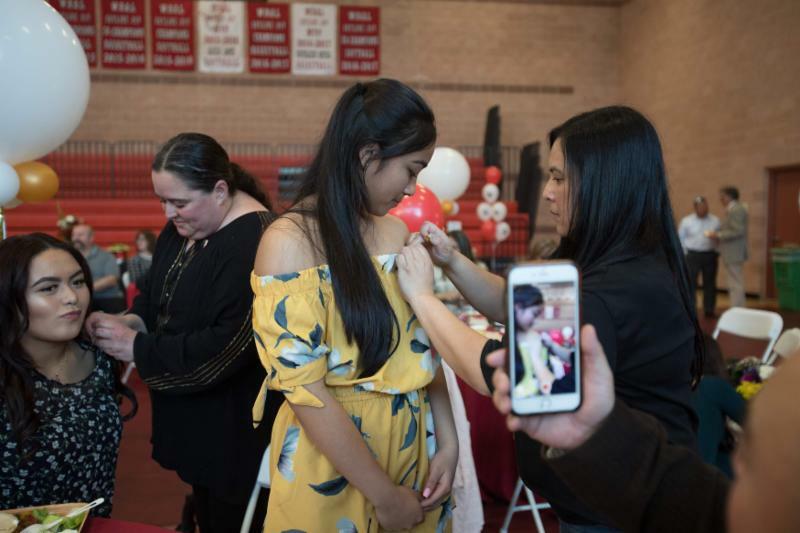 It was a night full of celebration and excitement for the graduates and their parents. Congratulations Class of 2018! Welcome to the Alumnae Sisterhood! 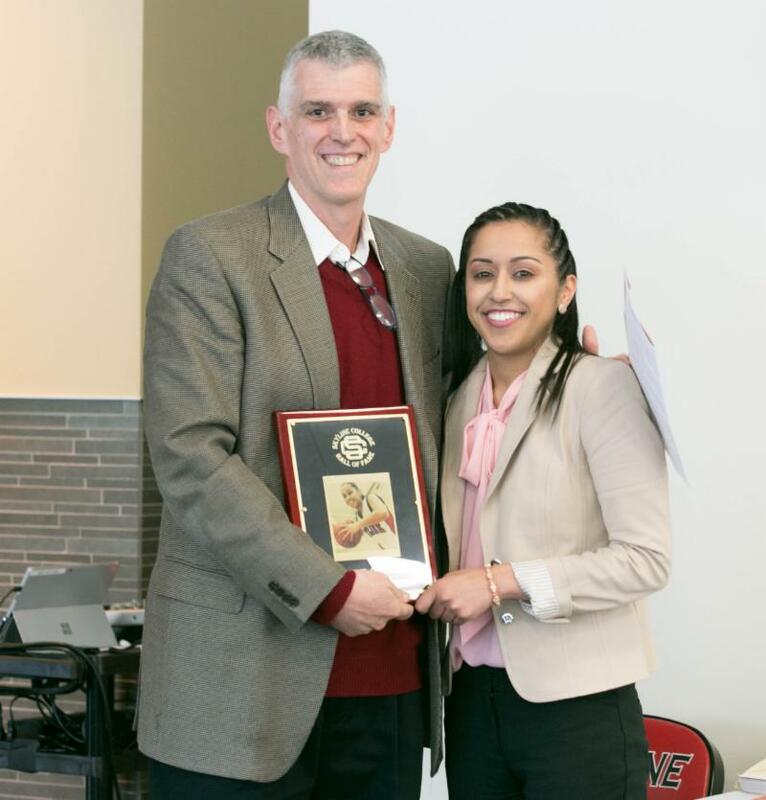 Marie Colón '06 was inducted into the Skyline College Athletic Hall of Fame this Spring. 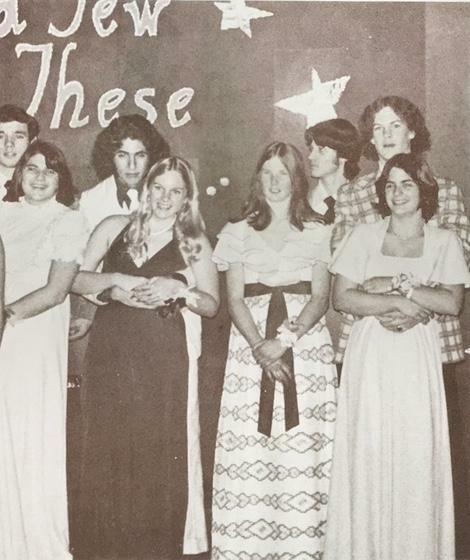 She is the Accounting Associate at Mercy High School and also coaches varsity basketball. 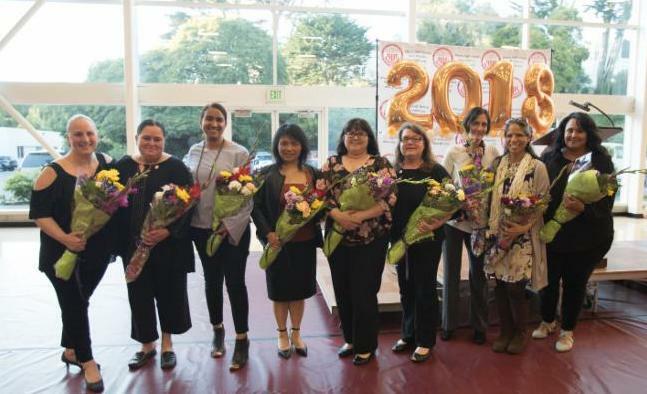 Kimberly L. Thomas '92 graduated with an Associate's degree in Humanities and Interdisciplinary Studies from City College of San Francisco. 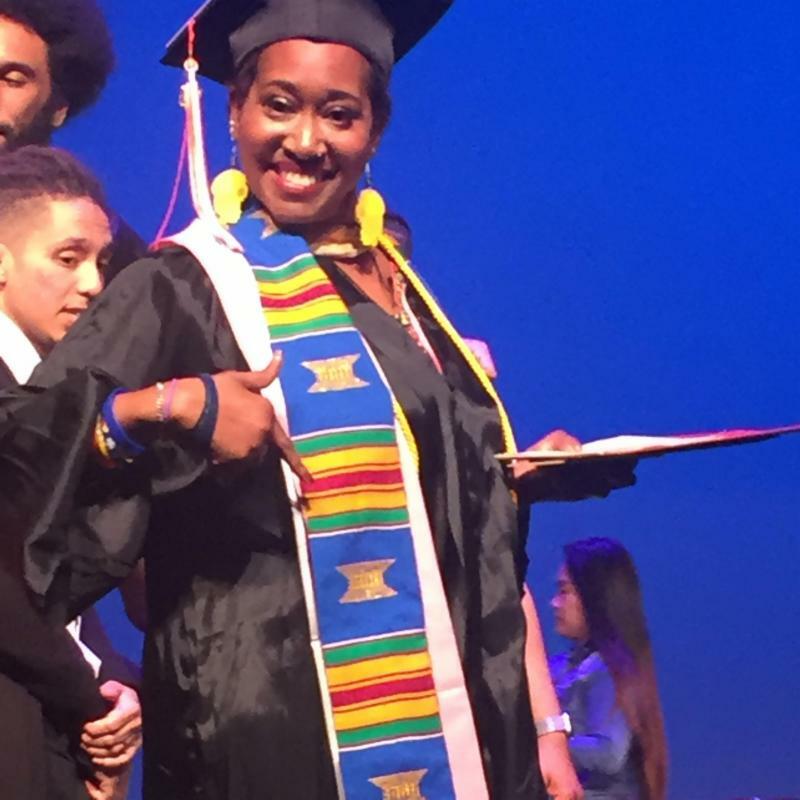 This is Kimberly's second degree and she is preparing for graduate school in the fall at either John Hopkins or Tennessee State University’s Graduate Certificate Program for Public Health, for Health Disparities. Kimberly previously earned a Bachelor's degree in Psychology from Dominican University. 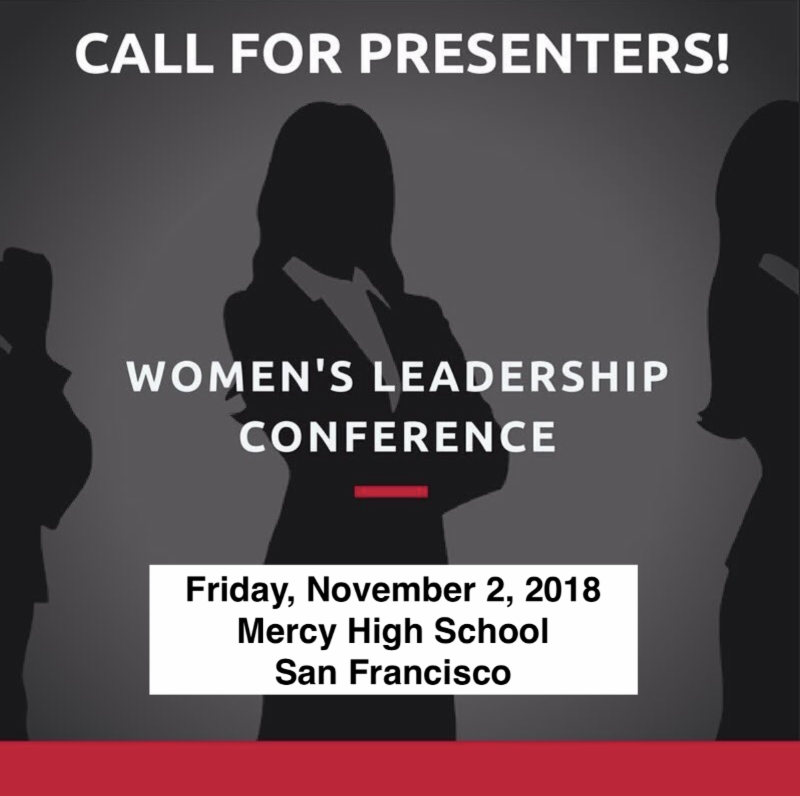 We are thrilled to announce that we are in the process of planning the 2018 Women’s Leadership Conference (Career Day), celebrating alumnae and friends of Mercy who are making a difference in their communities and beyond! Mercy High School will host the conference on Friday, November 2. 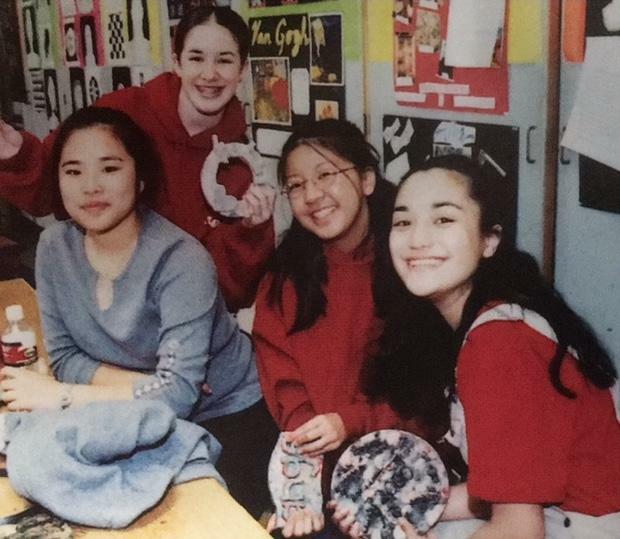 If you would like to participate, please contact Georgia Wasley ’09, Alumnae Development Officer, at gwasley@mercyhs.org or 415-872-0968. 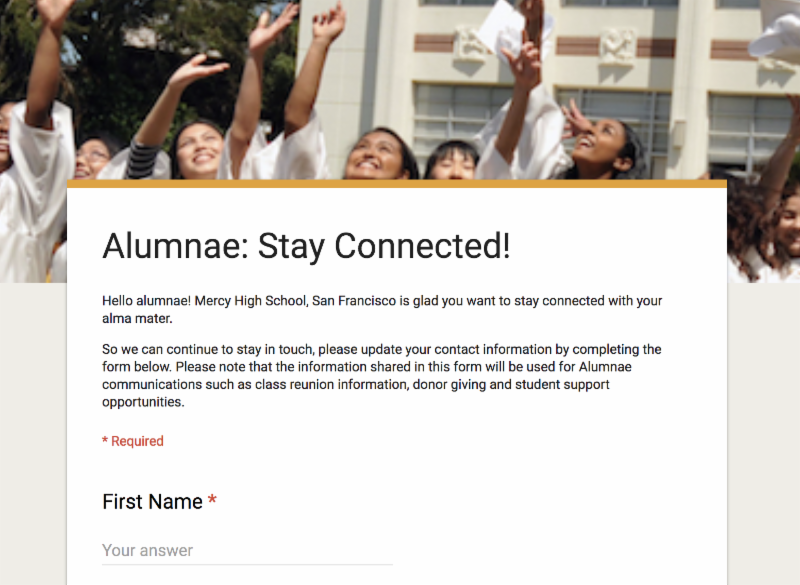 Mercy High School is partnering with Publishing Concepts, Inc. (PCI) to manage a significant alumnae data and directory update. The project will begin in July 2018 with the data-update process lasting through fall 2018 and printed directories shipping to those who order them in spring 2019. In addition, digital versions of the directory will be available for purchase. All alumnae are encouraged to confirm their contact information when PCI begins outreach in the summer of 2018. Exciting News: Moved to Reno, NV three years ago, recently married and expecting her first baby in June 2018!